Flip a coin. If heads, the opponent that you are battling right now gets twice the damage. 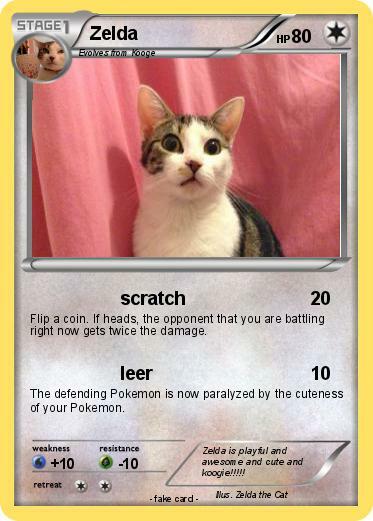 The defending Pokemon is now paralyzed by the cuteness of your Pokemon. Comments : Zelda is playful and awesome and cute and koogie!!!! !